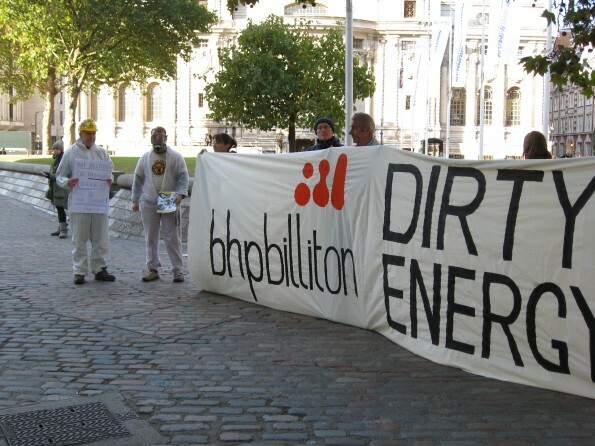 From 15 to 21 October, London Mining Network will be hosting visitors from Brazil, Colombia and Indonesia representing communities affected by the operations of the world’s biggest mining company, BHP Billiton. The company holds its AGM in London on Thursday 20 October. There will be several opportunities to meet the visitors. Save these dates! Tuesday 18 October, 6:30PM: Oil & Money conference dinner gala protest @ The Dorchester (W1K), Park Lane. Meet at King’s Arms pub (W1J) @ 6pm.